Stefano's... More than Just Ham! 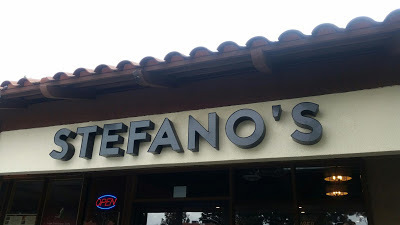 Have you heard of Stefano's? There are two locations... Yorba Linda and their newest in Laguna Hills. This family-owned business has years of History bringing delicious flavors to the plate. Stefano's Standalone locations may have been bringing us amazing eats since 2003 but the name itself has a deeper history rooted in Rich flavorful Golden Baked Hams for over 25yrs. The entire family prides their love of bringing fresh flavors and it shows in everything that they do from Farm Fresh to Table to supporting other homegrown family businesses inside the recipes. 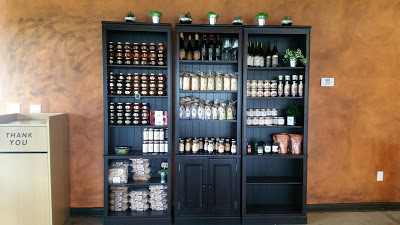 When I first drove by Stefano's in Laguna Hills I too thought it was purely tasty Golden Baked Hams that they sold but after further foodie investigation, because of course my curiosity got to me, I saw that there was so much more to offer inside of this modern Delicatessen. Of course you can get a delicious ham on bone or off bone and by the lb! 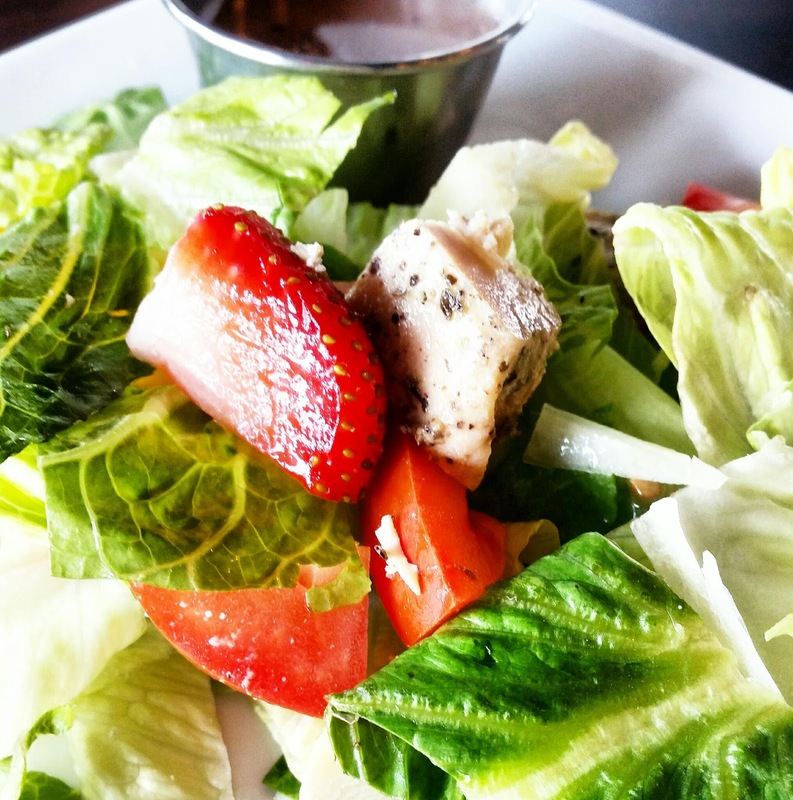 The owners have revamped the inside completely and along with their amazing eats bring you a very comfortable open and friendly atmosphere with the highest of customer service. So of course because my mom was a huge Golden Baked Ham fanatic I was so excited when I was invited to come in and check out what they are really all about. 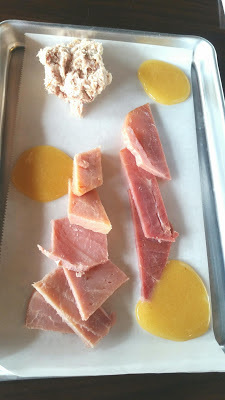 Ham Sampler - So good! 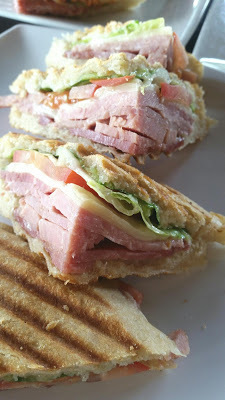 What makes Stefano's so significantly special is their panini and the way they have mastered it with their own creative specialties from what's in between the bread to the amazing bread itself, which actually is not just any bread, but a special proprietary ciabatta that delivers the most satisfying crunch! 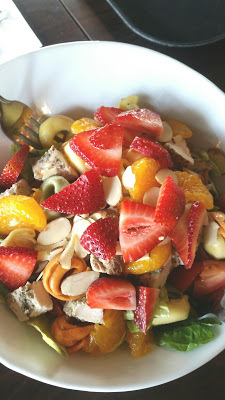 Stefano's has really expanded their selection to hit a very diverse crowd smack in the belly.. with the yummies that is! Stefano's offers delicious fresh colorful salads as well as a salad option that rotates with the seasons. To me it is so special and significant when a Chef takes so much pride in his menu he wants to keep it fresh, flavorful and creative. 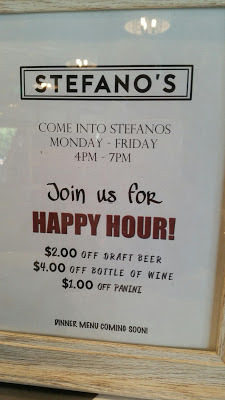 Before I get into some of the fun events that Stefano's likes to offer to its community I have to point out that they have beer and wine and a happy hour. On Sundays they pull out games so that kids can be entertained while eating breakfast and for this mama not only do they serve specialty coffees but they have iced coffee on tap & iced coffee specifically you can get on tap infused with nitrous...oh my gosh is it wonderfully delish! ! I could have taken a tumbler full to go! To be honest my two mommy friends and I did not want to leave. 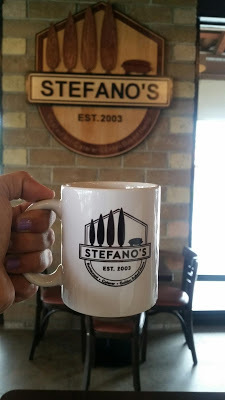 We had such a great time eating amazing food and just talking with the owner and seeing the passion that he has for everything that goes behind his business I just wanted to sit all day and chat and eat some more of the delicious variety offered at Stefano's. Talk about wanting to really be involved with in the community, I just missed out on the first one but, Stefano's just had a succulent garden night, where they had open registration for those who wanted to participate to sign up to come in and make their own mini succulents with fresh food and drinks perfectly paired with a very relaxing evening. Love it! 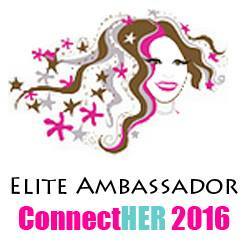 The next one is coming up on Thursday, May 19th, at both locations... get all the info here. Lunch is one thing that I would totally suggest going for! 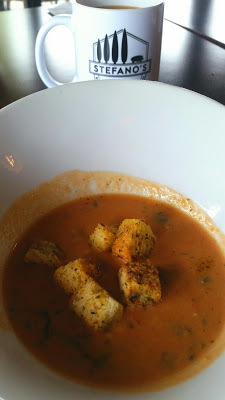 They have the most amazing Tomato Bisque that is right in flavor and topped with they signature croutons. Pair that with a yummy grilled cheese any day in socal! Tomato Bisque - Best I have ever had! But why stop there... here is what we were able to sink our teeth into and we loved every bite! 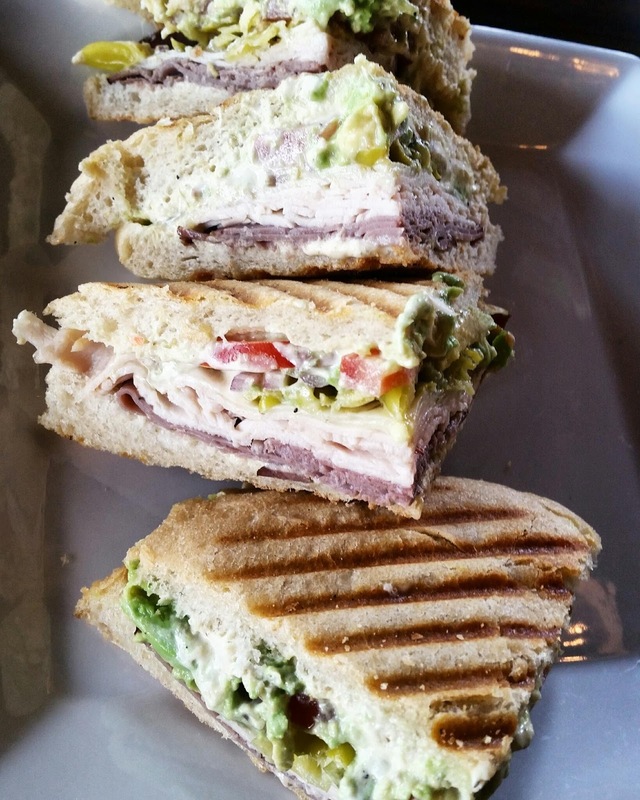 Panini Heaven - Do you see the Burgini in the back there... the spice is just right! As if your mouth is not watering yet (mine is all over again)... I have a few more fun facts about the tastes! Big news - Stefano's Laguna Hills can hold private parties at their Laguna Hills location and both locations are in full swing with Catering and special events. 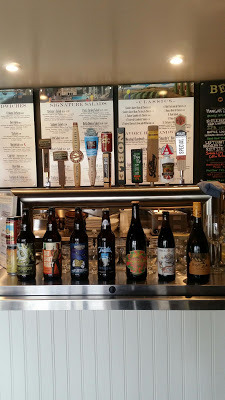 There is so much going on at Stefano's from the relaxing morning fresh eggs to the panini lunch...but get back for happy hour dinner and enjoy it all with a beer off tap from a local specialty brewery. 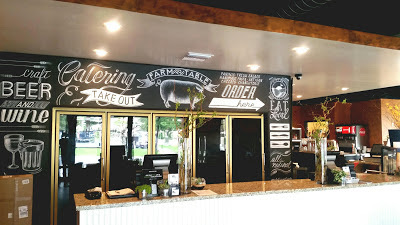 They are doing it all... but if you are more of a traditional kind of foodie...they have specialty sandwiches both hot and cold as well as cold pastas made fresh daily! Again supporting the family owned businesses... I'm all for it! I have to say that the Stefano family is super friendly. I mentioned to the them that my son who is on the Autism Spectrum sometimes is not the best behaved and can get loud... the owners response... He is welcome anytime and it would be great to have him in here, kids are meant to be loud and we are very friendly to that! THANK YOU! 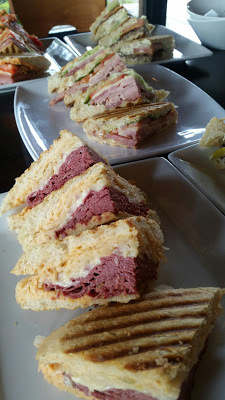 Can not wait to return for another Burgini or maybe a Bostini or maybe the tomato bisque... omg forget it I'll take one of everything, some of their home made Dijon mustard and call it a day! Hehe! But wait... in Celebration of all the goodness going on and being served up at Stefano's we partnered up to do a giveaway! I can not wait to get back for more. The price point is right on for the fresh, hand crafted meal you get. Thank you for the invite Stefano's!